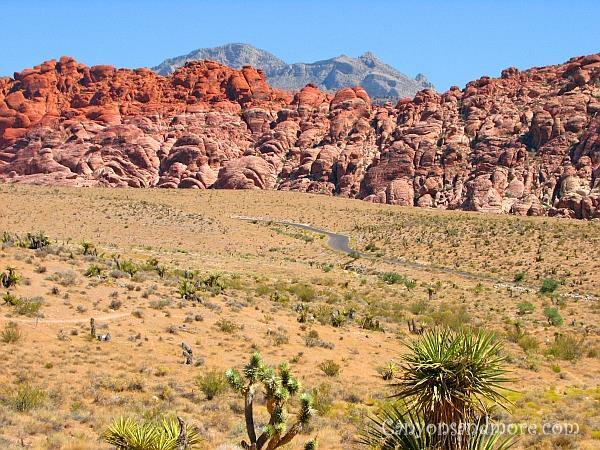 This fascinating landscape in Nevada is just a short trip from Las Vegas and a great way to get away from the hustle and bustle of the city if you long for nature. 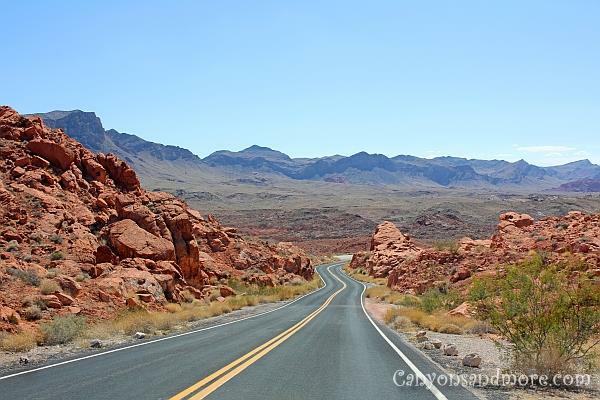 You can combine it with a trip to Lake Mead as it is also close by, or take just the day to see this state park by itself. This is an interessant piece of information for Trekkie fans. If you have ever seen the Star Trek film “Generations”, there are scenes from this park when the characters Captain Picard and Dr. Soran are on the planet Veridian III together. Above you see the road going through the park. At the visitor’s center you will find exibitions about the geology, history and ecology of the park and the center also sell books, postcards and refreshments. A state park fee of around 6 dollars is required to be paid at the entrance. There is a small mailbox type of booth containing envelopes to fill out and to deposit the fee. You keep a stub as proof of payment. A pamphlet can also be taken which explains the different sights and areas of the park with its popular trails and sightseeing points. Once you are in the state park, a winding road takes you through breathtaking red sandstone formations and interesting landscape vistas. 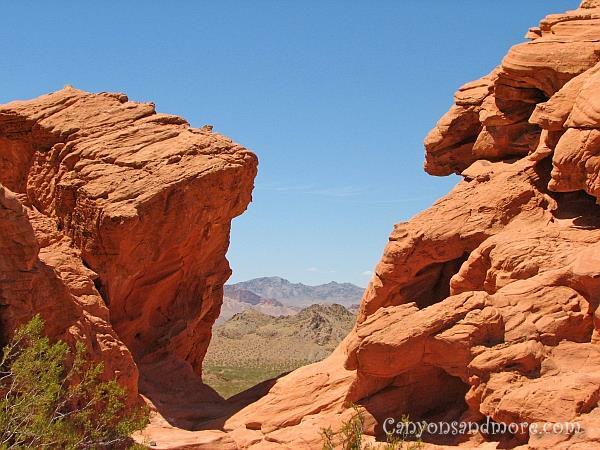 When you look at the red rock structures, it is obvious where the park got its name. The red color of the rocks really seems to be glowing when the sun hits them. 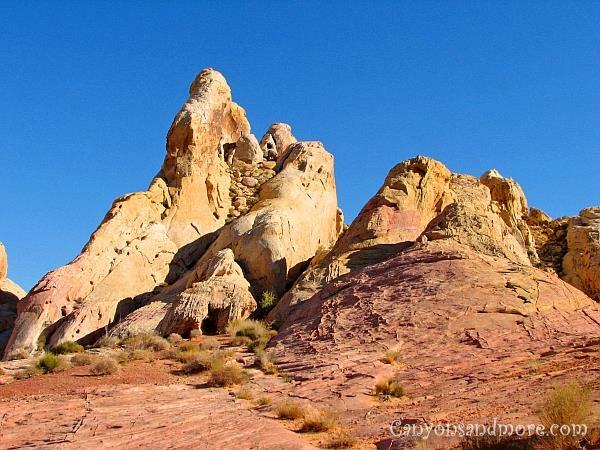 The park not only has red rocks but other fascinating formations as well. But the red ones really do dominate the landscape. 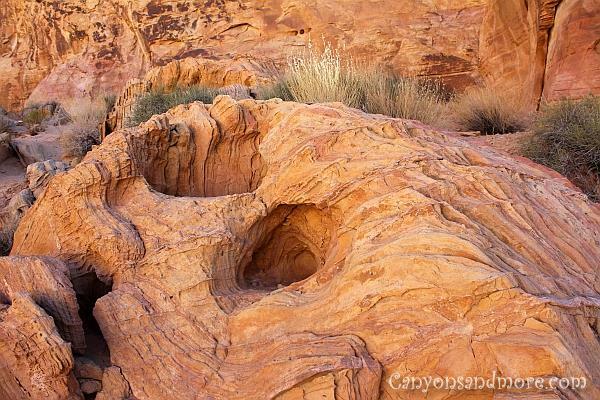 Take the time to stop and see the many formations found at the park. There are vista points and many trails to enable you to see all of the natural attractions at your own pace. 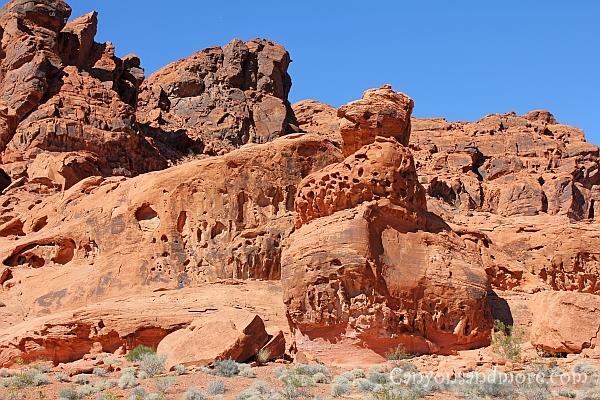 Each of the trails in the Valley of Fire are easily accessable from the various parking areas. The park is not very large so it is possible to see it all in one afternoon. This journey is approximately a 17 km round trip and takes you to the north end of the park. Follow the road through impressive landscapes and then park at the White Domes area. 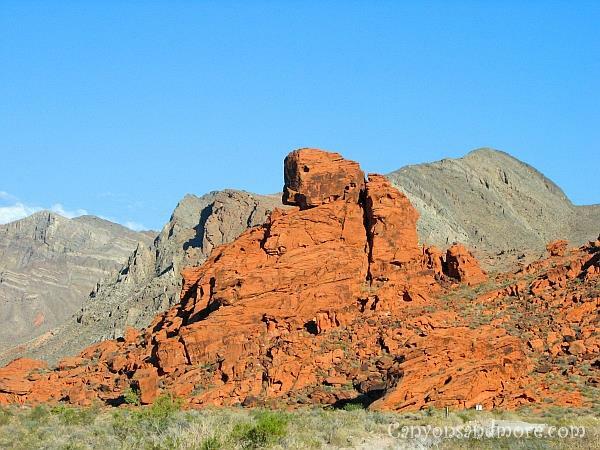 Here you have the opportunity to go by foot to higher areas such as the Duck Rock. This looks like it could be the surface of the moon! The shape and texture of this rock is simply amazing. 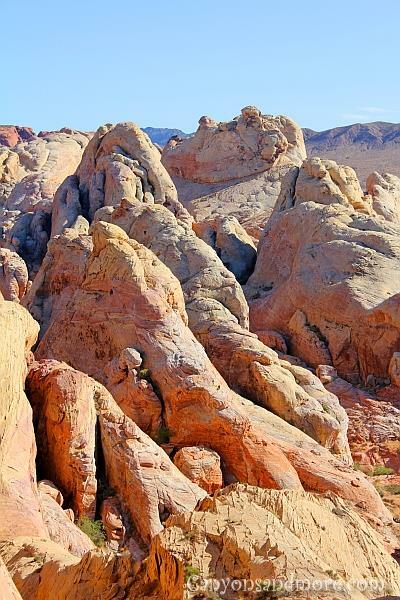 You can enjoy a scenic view of multi-colored sandstone at the Rainbow Vista parking area, or from the Fire Canyon/ Silica Dome stop you get a fantastic glimpse of fire red sandstone formations in contrast to the Silica Dome next to it. 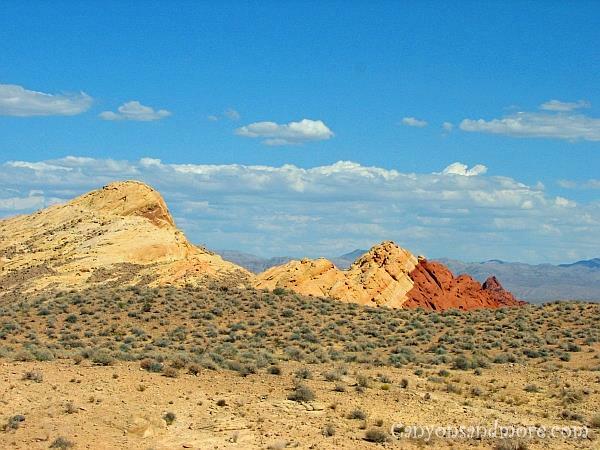 This fascinating landscape in Nevada is just a short trip from Las Vegas and a great way to get away from the hustle and bustle of the city if you long for nature for a while. 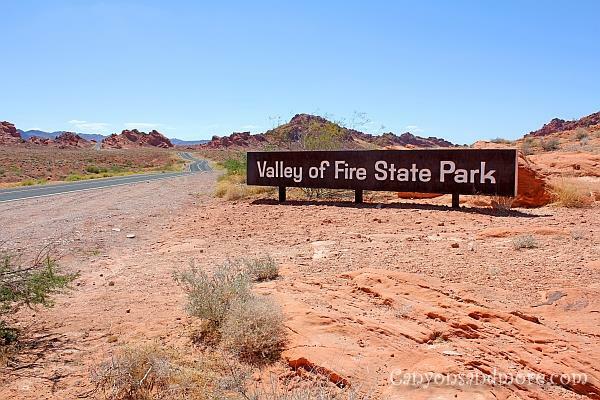 You can combine it with a trip to Lake Mead as it is also close next to this park, or take just the day to see this state park by itself. The craters in the of the round rock formation somehow gives you a feeling that you are on the moon. You can take a trail towards the Mouse’s Tank and pass by Indian petroglyphs. These can be found in two locations of the park and are approximately 225 million years old.